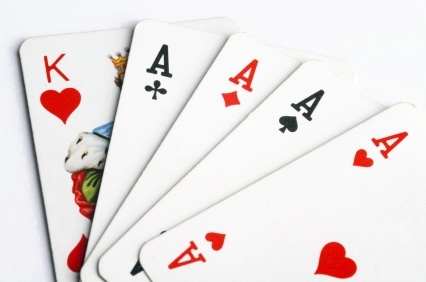 ﻿ Paresis in poker. How to deal with it? Paresis in poker. How to deal with it? In the poker world very often you can meet with complaining to the inclemency of fate or that someone got a hand with huge bad beat again. The fact is that poker is in some way a game of luck and fate sometimes has to help us. But like many people have noted, the best players very rarely complain about bad beats. If anyone saw that Ivey, Dwan or Antony complained? I didn`t. While quite a few complaints can be heard from Nagrenau or Matusow, and as you know- in cash games for a long time they are simply donors. I will return now to our backyard. There were no times when players complain so much on his luck, as they do it now. They all the time go wrong and have eternal downswing and that is why they barely are breakeven. The reality can be very painful. Why? Well, because in poker no skill or no talent is very easy to say that it is because of bad luck. Many of us will surely have a friend with a yard, a neighbor or friend of the forum, which is taking a lot of money from the poker and we somehow goes wrong. You are looking at his game and can not see anything special. Even think that you are better. So what is the reason that he earns so much and we don`t? Simple: he has a biglucky and we have bad luck. This is the biggest hypocrisy of all. However, occasionally it is extremely common. Nobody wants to face the truth that he probably just doesn`t have the skills, talent, patience or time to learn. Most think that will sit at the table and immediately will start to win with all players. Because his game is absolutely the best. Each donk on the net think that his game is awesome. Unfortunately, just few of them realize that he is an ordinary fish.That is why sometimes there is a big paradox of bunny and snake. I don`t know if you ever seen how a snake eats rabbit? Well, this is a very unusual sight. First, lets the rabbit go to the snake. Rabbit is afraid at first but after a while, though accustomed to the situation and in this time snake is laying down calm. Bunny is a stress-free and in the end he even want to play with the snake. And then the rabbit suddenly dies. The same is true in poker: all fish are unlikely to realize that they are fish. But the sharks know that they are sharks.In our country, especially prevalent is jealousy, and when someone sees a big score friend is often awakened in him a bad feeling. I speak here about all: jealousy will not add anything to you. It is only destructive feeling, which only covers you the truth about yourself, because understand: If you didn`t win anything big, it means that you are missing something. So instead of complaining to all just begin to consistently learn and analyze your game. It will surely help you. This complaint can just make you a step back. If you don`t win, it means that you are not ready. At this point, you play so low, because this is your place. What can you realistically do to stop complaining and to improve your game and get rid of jealousy?First, find a better friend who will help you analyze your game and will talk with you about poker.Second, read, read and read again. Knowledge of the game on the short stack,pot odds, outs, bet sizing - it's an absolute basis from which to start somewhere. Ifyou play a year or two and you have deficiencies in one of these things, then your game will never bring you income.Third, you could try to gather some money and rent a coach or buy a subscription to a page with the coaching movies (registration is very simple, even if you don`t know English, it gives you a lot just by watching hands). Subscription price in relation to the knowledge contained in these materials is ridiculously low.Fourth, spend 15 minutes after each session to analyze your own game. This gives you the knowledge of your own game.Fifth, read the news about major events .Be a big fan of some player, it can eliminate the feeling of jealousy in you.Sixthly, play, play and play again. The time at the table is a good teacher.At the end I will have an example of Adam Malysz, he has always had talent, but before the beginnings of the great jumps, he was just an average jumper. It turned out that the biggest problem was in his head. This is a great champion, because he realized his weakness and not afraid to work for it and then talk about it. I hope will have the same will to fight.Paresis relates to almost everyone, but only the best seem aware of it and strive at all costs to change their situation. I didn`t write this article to offend anyone. This all is to encourage you to work even harder on your game. So sorry if I offended anyone, but if you're offended it probably means that all I say was about you and your game. The same complaint is not something very bad, I often complain about bad beats, but don`t cover by this my leaks!